From the Terracotta Army: Legacy of the First Emperor of China making its way to the Virginia Museum of Fine Arts this fall, to Pueblo artist Virgil Ortiz‘ figurative ceramic works retelling the story of his ancestors’ rebellion against Spanish colonizers in 1680 in the “Hear my Voice” exhibit, to VCU’s announcement of their forthcoming Insititute of Contemporary Art, and our ever-growing number of murals, Richmond’s arts scene was booming in 2017. 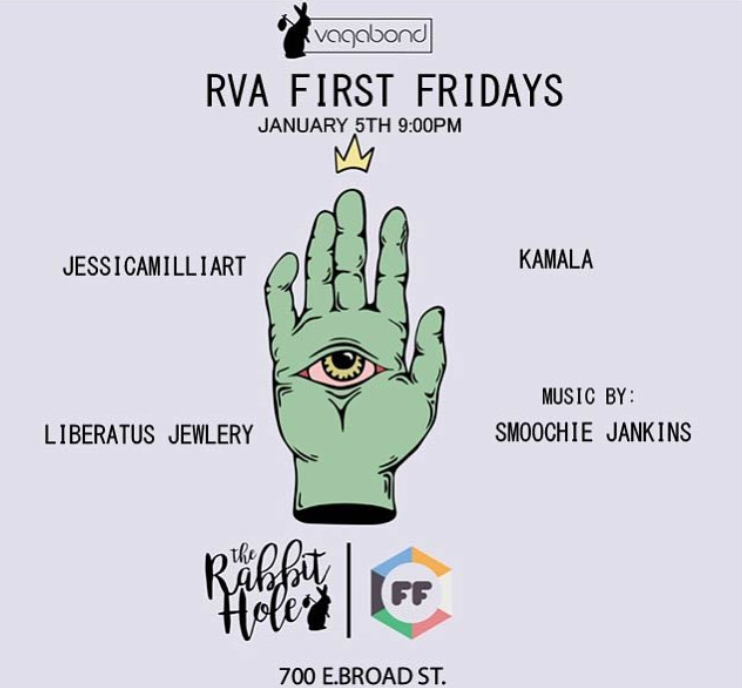 To kick 2018 off to a great start, RVA First Fridays returns this month with a slew of emerging talented artists, new exhibits, fashion showcases, artisan markets, and more. RVA Mag has rounded up a handful of our top picks for this month’s First Fridays Artwalk and there should be a little something in there for everyone this go around. In an effort to support Richmond entrepreneurs and local artisans, the Manchester dance theatre has partnered with events website Unlockingrva and Made by RVA to host a market for Richmonders to shop local products and support local shop makers, creators, artists, crafters, and bakers. 109 W. 15th St.
For their first show of 2018, Candela Books & Gallery will feature eight artists in the photography exhibit, Science As Muse. The artists, which include, Walter Chappell, Caleb Charland, Rose-Lynn Fisher, Pam Fox, Daniel Kariko, Michael Rauner, Robert Shults, and Susan Worsham, all use science as their inspiration to base their photographic works around. Some of the artists use equipment made possible by modern science while others have create work by applying the scientific method, and some have simply documented the worlds within scientists practice their craft, each telling a story with their photos. 214 W. Broad St. In partnership with the Institute for Contemporary Art at VCU and the VCuarts Department of Sculpture & Extended Media, Art180 will feature its first “Future Studio”, showcasing artwork by high-schoolers in the Future Studio program. 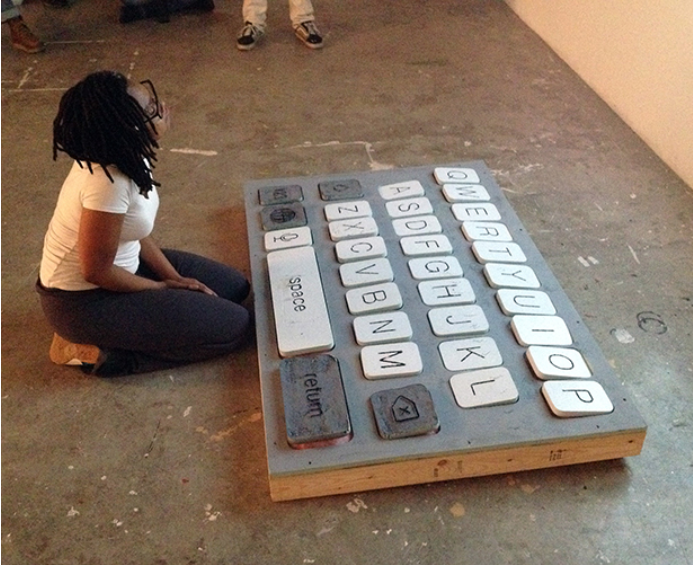 The 10-week free program provides Richmond teens with hands-on experience creating art and other media in VCU’s Sculpture department. The Future Studio program also gives teens the opportunity to visit the ICA building, access to portfolio workshops, lectures, free materials, and a chance to have their work showcased in Art 180’s Atlas gallery. 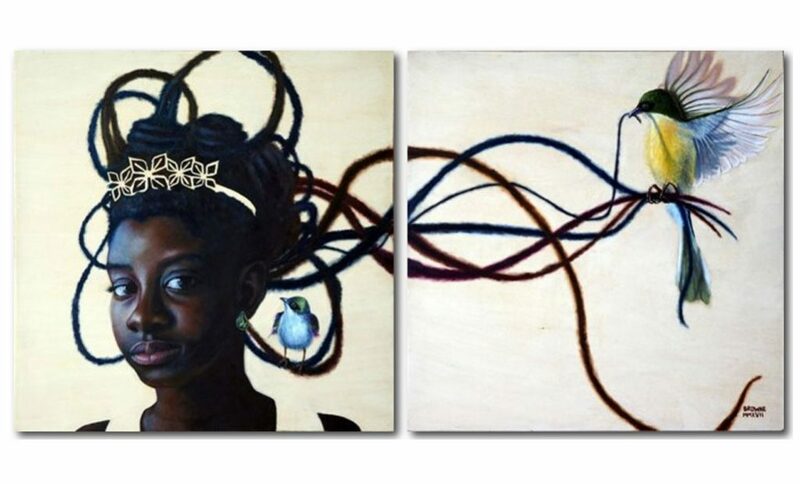 This Friday, Gallery5’s “Gold For A Silver Situation” opens, featuring the work of 12 Richmond female artists. Curated by fellow local artist Katie McBride, the exhibit aims to break gender barriers, and highlight the many talented female illustrators and artists making significant contributions to their field, yet still, are too often seen or viewed as an afterthought to male artists in their field. The show includes the art of Cathryn Virginia, Holly Camp, Melissa Duffy, Ally Hodges, Brooke Inman, Meena Khalili, and, Mary Chiaramonte, Victoria Borges, Clara Cline, Kamille Jackson, Amelia Blair Langford, along with McBride, whose known for her design of the 2016 Richmond Folk Fest poster. “Female illustrators are not an afterthought. 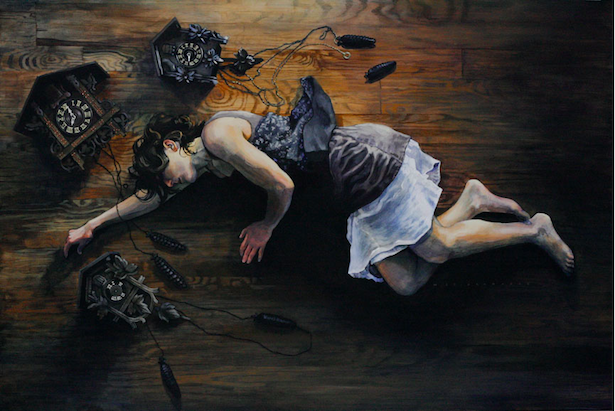 Walk in and see 50 pieces of amazing art and understand that these people should be first in your mind for a big, crazy, stunning, dramatic oil painting, or super smart conceptual think-piece, or a portrait, or whatever it is,” said McBride, told RVA Mag in a recent interview about the new exhibit. You can view a catalog of each of the artists’ work here. Gold For A Silver Situation opens tonight at 7 pm. Music kicks off at 8 pm with Elizabeth Owens, Slurry, Georgie Isaacs, and Deau Eyes. Other vendors will also be at Gallery5 so make sure you stop by Gallery’5 membership table, Belle Isle Moonshine, “Interconnection”, a series of Multimedia Collages, and Portraits of Richmond Icons by Courtney Lebow, and Becky Whitson, who will be selling floral headpieces and fine art. 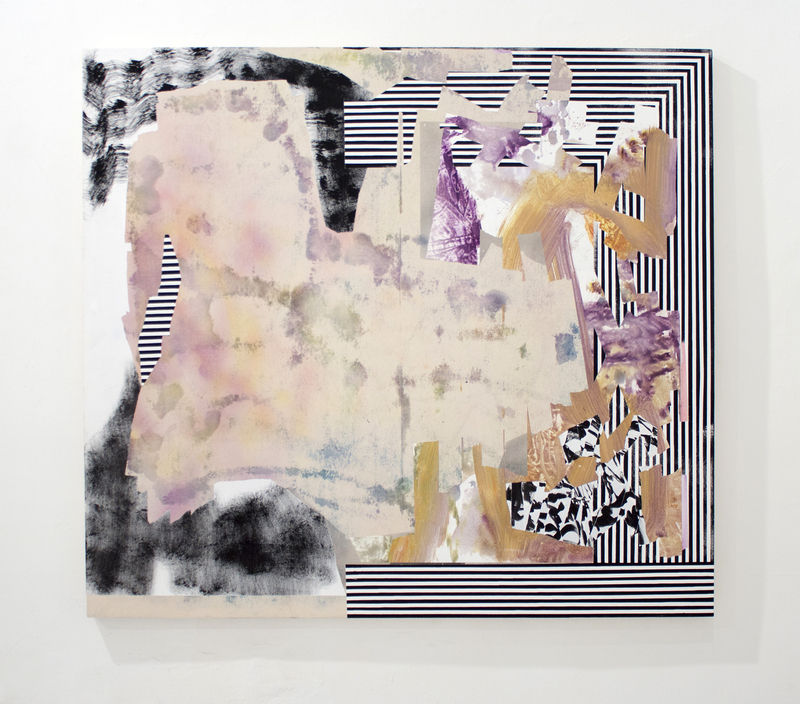 You still have a few weeks left to check out Page Bond Gallery’s Glow Glimmer Sparkle Shine exhibit featuring 26 artists which range from paintings to ceramics to abstract work. Sculptural ceramics artist Piero Fenci is among those showcasing his work, which resembles ancient architecture, armor, and industrial machinery. Fenci describes it as “loosely rendered reinventions of the past” that reveal “a heritage of [his] own passions.” The artist has been a professor at Stephen F. Austin State University in Texas since 1975 and he founded the first university program in contemporary ceramic art in northern Mexico at la Universidad Autonoma de Chihuahua in 2004. You can see their work and the work of the following artists at Page Bond Gallery in this exhibit: Participating artists include: Isabelle Abbot, Will Berry, Karen Blair, Sanford Bond, Robin Braun, Amy Chan, Charlotte Culot, Clark Derbes, Sean Donlon, Isa Newby Gagarin, Sarah Irvin, Harris Johnson, Becky Joye, B. Millner, Sarah Mizer, Jaydan Moore, Matthew Langley, Tim O’Kane, Corey Pemberton, Curtis Ripley, Fiona Ross, Nancy Murphy Spicer, Leigh Suggs, and Julie Wolfe. 1625 W. Main St.
ADA Gallery presents Richmond-based artist Bruce Wilhelm’s solo exhibit, Next, featuring his abstract works. A VCU graduate, Wilhelm has received two Virginia Museum Fellowship Grants and has showcased his work at ADA Gallery since 2005. The artist is also the co-founder of Philly’s Grizzly Grizzly gallery. 228 W. Broad St. 7-9 PM. The featured works are from the GenderFail Archive Project in the form of a reading room with select titles from the GenderFail library. The selections will be archived on the site and presented at the gallery as installations on sculptures commissioned from Richmond-based artists. The collaborative sculptural displays were created by artists Hallie McNeill, Evan Galbicka and Colin Klockner. GenderFail will be open Saturdays and Sundays from 1-6 pm and tonight’s opening will run from 6-9 pm. 208 E. Grace St.
68 Home, a used and locally made furniture and home decor store and art gallery, will open First Fridays this month with “The Zodiac Collections”, a complete astrology-inspired exhibit. There will be $5 card readings by @snakeoil, online jewelry boutique Sun and Selene will be there selling their products, along with Maven Made, a local company selling all natural, ethically-sourced beauty, home, and wellness products, and local custom-flag shop Guards and Flags. 5 W. Broad St. 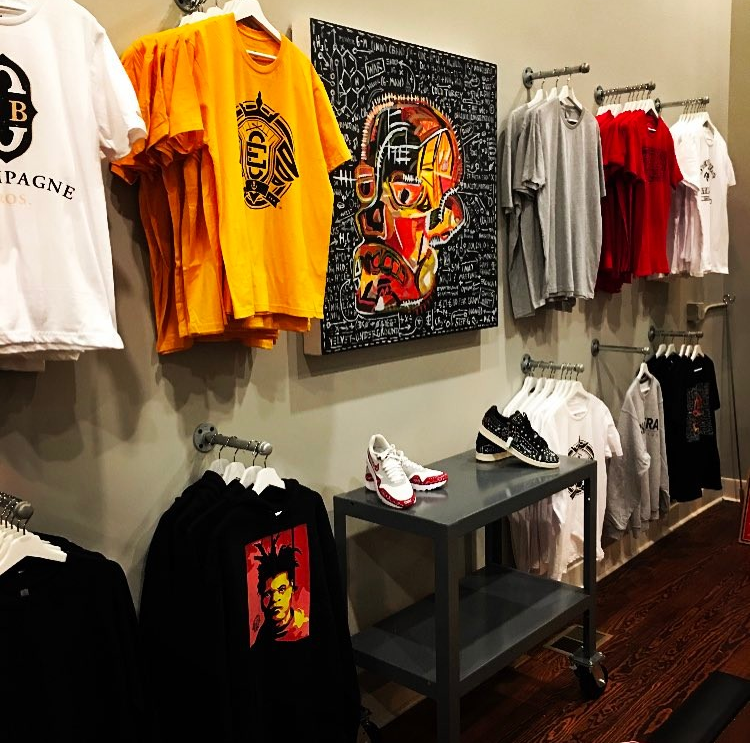 This Friday, Thread Count Shirts, a local custom brand t-shirt and apparel business, will have a pop-up shop showcasing local designer Champ Era’s latest collection, Street Calculus. 6-10 PM. 209 E. Broad St.
Fresh Richmond is hosting a Pop-Up Shop for their First Fridays of the New Year. The shop will feature clothing from Sky Mission Clothing Co., artwork made using water, fire, and air by SABartStudio, jewelry and gemstones by The RAW Aura, homade lotions by Nature’s Booty, and a DJ set by DJ Lady Syren and Neili Neil. 5-8:30 PM. 213 E. Broad St.
Smoochie Jankins 1st Fridays Party! Vagabond will throw an artist pop-up in The Rabbit Hole tonight at 9 PM featuring art and design from Jessica Camilli, Kamala Bhagat, Liberatus Jewelry, with music by Smoochie Jankins. Led by Mark Ingraham on the trumpet, the band is rounded out with Garen Dorsey (Sax/ Keys), Macon Mann (Keys), Kelli Strawbridge (Drums), Nekoro Thabiti Williams (PBR, Drums) and Derek Goodall, (drums) which is bound to get you out of your house braving the cold weather to hear these awesome musicians play. 700 E. Broad St. Check out all the RVA First Fridays happenings here. When you’re enjoying the revelry of First Fridays this week, be sure to check out the most unique gallery in Jackson Ward.